Update October 2017: The Impossible Project rebranded itself as Polaroid Originals, and briefly took this product offline. It’s back up on their site, and is still the same good ol’ bag! For our purposes, whenever the Impossible Project is mentioned below, assume I’m talking about Polaroid Originals, they’re the same thing. The original SX-70 land camera folded up in a convenient, nearly pocketable size that was perfect for travel. However, as the decades went by, Polaroid grafted both a massive autofocus system and flashbar on top of the camera, and the resulting Polaroid SLR 680 is not an easy camera to carry around. 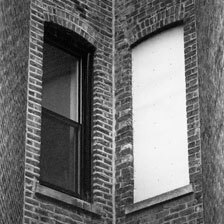 When not in use, it flattens into an elongated, yet fragile slab that feels like it could snap in half at any moment. The Polaroid SLR 680 is enormously expensive, so I searched high and low for a decent way of carrying it around and protecting it. My reliable Think Tank bag wasn’t big enough to close properly with the camera in it. My backpack had to be re-arranged in a way that lost a ton of space, and even then it wasn’t terribly secure. Even my vintage SX-70 bag couldn’t hold it because of the extra length. 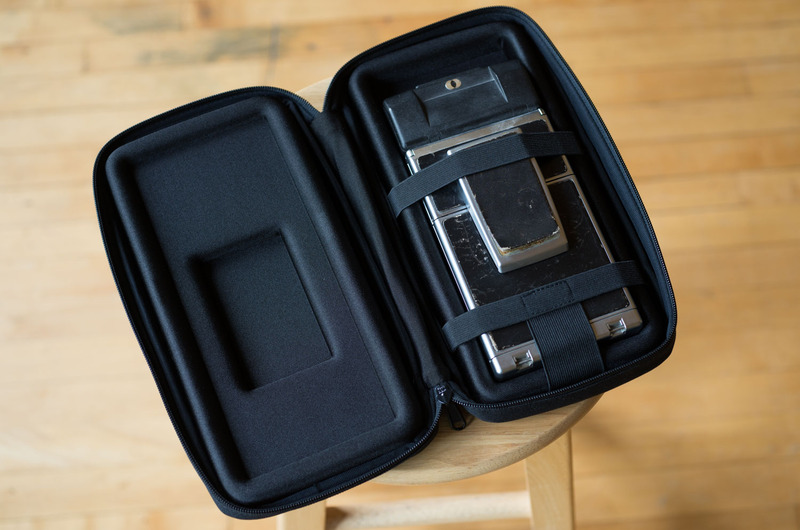 That left pretty much only one option that I could find: the Unit Portables SX-70 Carrying Case. I’ve been avoiding it because it’s absurdly expensive. However, it makes a certain kind of sense that an expensive camera would require an expensive case. And the Unit Portables SX-70 Carrying Case does its job very well. The huge SLR 680 fits in popsicle form. At least this is a very competent case for what you’re paying for. All variants of the folding SX-70 camera fit inside, with a strap and hard foam that keeps it secure. 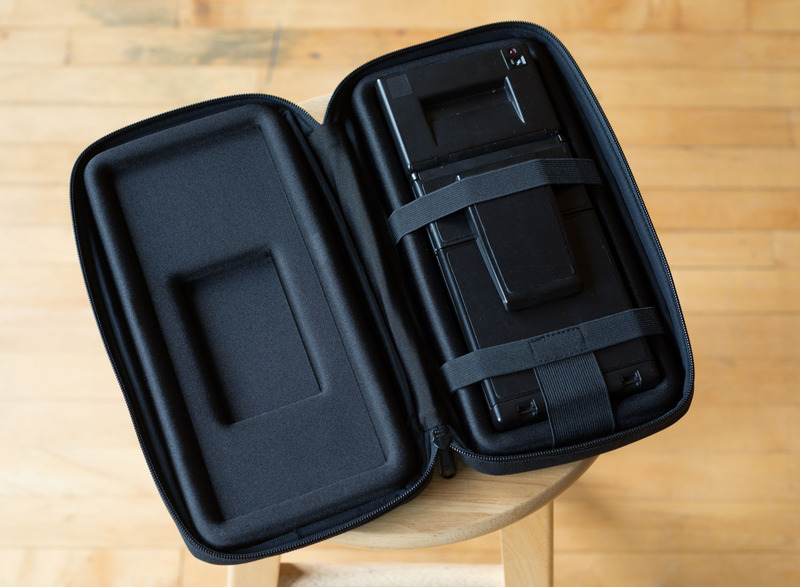 The hard interior protects the camera far more than a wholly soft case would allow for, but the soft exterior still keeps it flexible and easy to stash away. There is a shoulder strap that’s long enough to sling over my head without too much fuss. There are lots of buttons and places where this case can be strapped down to other cases and bags if needbe. You really can’t fit more than this in the extra pouch, which is a bummer. There is also a small, seperate pouch that comes with the case that can be attached and detached as necessary. 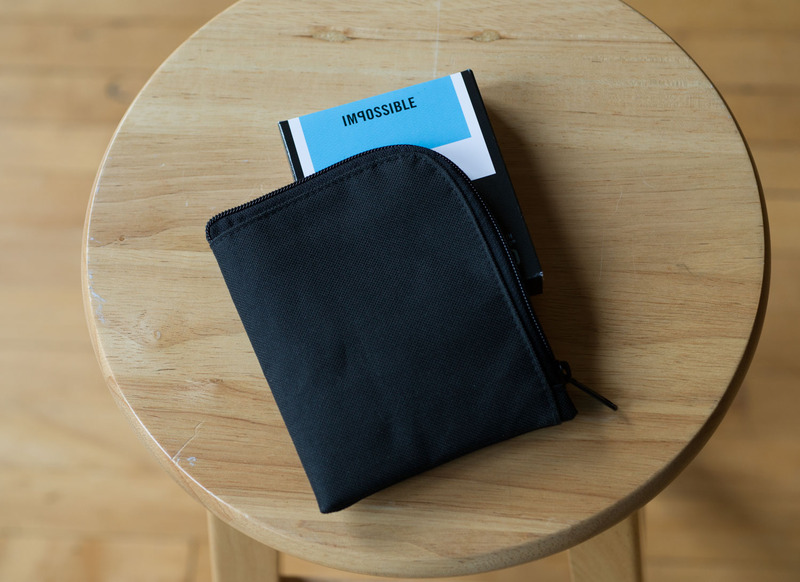 It’s designed to hold one box of Impossible Project film and a few pictures. I typically have multiple packs when I travel and shoot, so only being big enough for one pack makes this pouch sort of useless. I typically leave it off and at home. The strap is nice and long, and there are tons of buttons and fasteners on both sides. This carrying case is not great for active shooting, but will do in a pinch. It’s difficult to pull the camera in and out quickly, and also hard to use the case without setting it down. 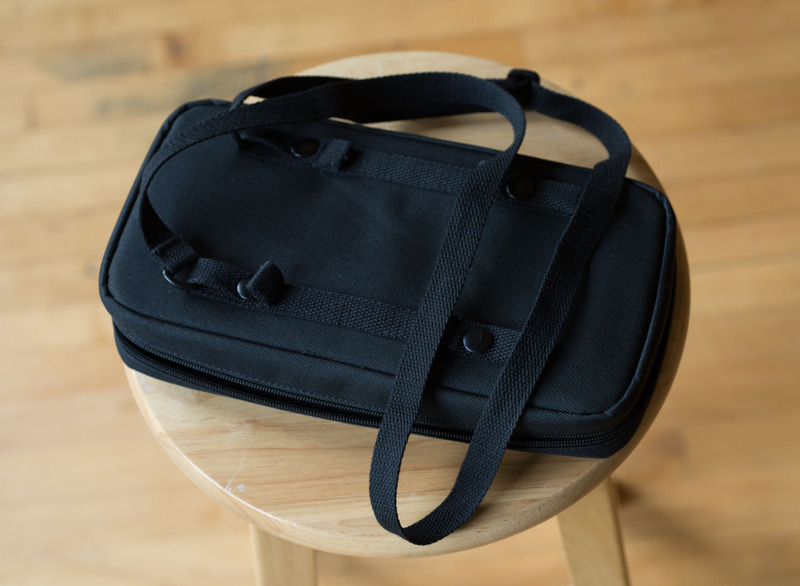 Because of this, an open Think Tank bag is still the best bet while on the shoot itself, but in between setups, shoots, or trips, the Unit Portables is great. Smaller variants of the Polaroid SLR fit just fine. 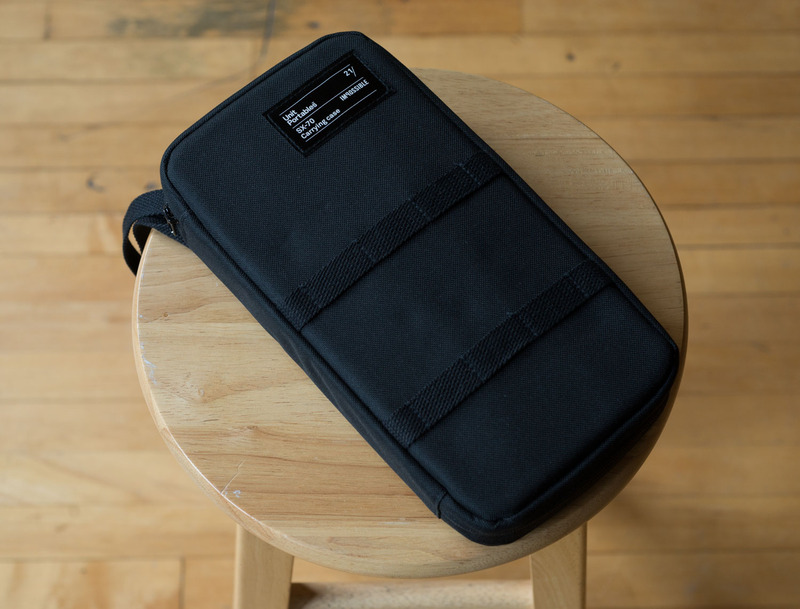 If you have the resources to grab a Polaroid 680, you might as well budget to also get this case. Think of it as real-life protection plan. If you have a smaller, original flavor SX-70, there are a ton of used bags out there that will do the job just fine and for a whole lot cheaper. You can find this case on the Impossible Project website or Amazon. I managed to get a deal on mine on Amazon for about 20 bucks cheaper than what Impossible sells it for, so keep an eye out for a third party potentially selling it for less than MSRP. Good luck!